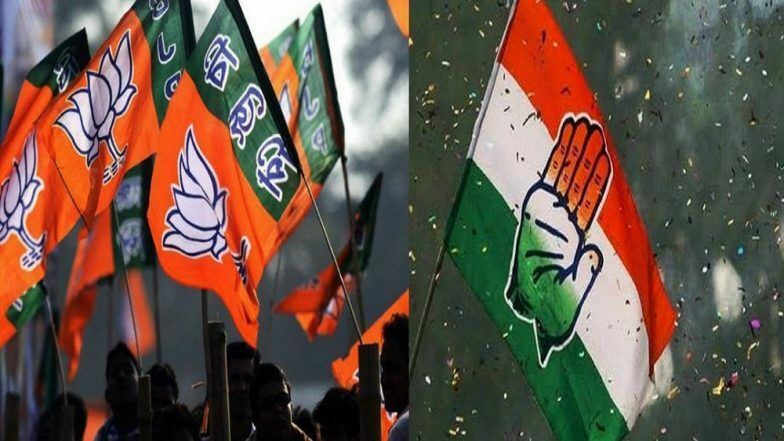 New Delhi, April 13: The BJP Saturday accused the Congress of using its state governments like ATMs to pump "illicit money" into its general election campaign and claimed that if the opposition party comes to power, it will practice corruption. BJP spokesperson Meenakshi Lekhi cited documents to hurl "Tughlaq Road poll scam", a term often used by Prime Minister Narendra Modi to target the Congress in his speeches, barb at the rival party. Lok Sabha Elections 2019: Rahul Gandhi Promises Jobs For Youth, Income For Poor. Accusing the Congress of being directly involved in this "scam", she alleged that if it comes to power, corruption will become a trade. BJP leader Gaurav Bhatia also attacked the Congress over the issue, alleging since it has come to power in states like Madhya Pradesh, it has been involved in various "scams" to make money to influence the general election. Modi had recently alleged that Madhya Pradesh has become an ATM for the Congress, as he cited IT raids to target the party.